I'm running OS X Mavericks on a computer with two displays that are not mirrored. Problem: cmd + tab Task Switcher sometimes appears in secondary display instead of the primary. Once it starts appearing on the secondary display, it might soon move back to the primary, too. Why this happens? I have seen it happen more than once but haven't yet figured out the pattern. How to configure the task switcher to appear only on the primary display? 2'. How to configure the dock to appear only on the primary display? The Task Switcher does follow the Dock. If the Dock is on screen 1, the Task Switcher will appear on screen 1. If the Dock is on screen 3, the Task Switcher will appear on screen 3. Etc. To make your Dock appear on a screen you can use a couple of methods. Method 1 - Move your mouse to the bottom of the desired display. Don't stop once you reach the bottom of the display though, try to move it further down, as if you're pushing down on the bottom of the display with your cursor. This action tells the Dock to move to this display. This is temporary however, meaning the Dock will stay on this display until you perform this action on another display or reboot your Mac. Method 2 - This will change the default starting point for your Dock. In System Preferences > Displays > Arrangement you can drag the menu bar from one display to another in this windows display icons. See the attached picture for reference. This alters the default preference to always show the Dock on the desired display, the one you drag the menu bar to in this preference pane, when you boot and/or login to your user account. You can still use method 1 to temporarily change the Dock's location but upon a reboot it will return to the display specified here. You answered #1 yourself - that is, the Switcher appears on the monitor where the Dock was last shown. To change it, just move the mouse to the bottom of the display that you want to show the Task Switcher on (this will temporarily show the dock on OS X Mavericks, until you move the mouse away from the bottom of the screen). Now the Switcher will appear on that display, until the Dock is shown on one of the other displays. As the OP and other answers have noted, the Task Switcher follows the last-moused-over dockbar. Of course this will impact your use of Spaces with multiple monitors, but it might keep you sane. Another strange note is that if you have a Display that is seen below your primary display in the Arrangement View -- like this example using Duet -- it will get the Dock, and therefore the switcher. Move it to the side or above to avoid this. 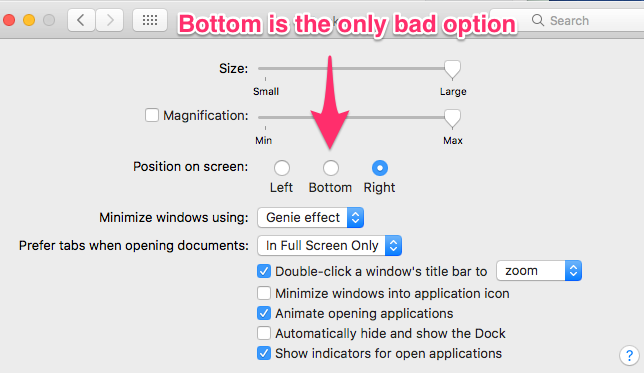 don't put the Duet "below" your other display in the arrangement! I'm having this issue right now. I'm on Sierra with Duet Display (Thunderbolt primary screen + Duet on iPad mini). All the options (including shutting off Displays Have Separate Spaces do not help. The Menu Bar is on my primary display, yet the dock and task switcher are on the iPad mini. The only workaround I have for now is to put the dock on the right or left. Very weird! and it seemed to fix it for me. Task switcher is back to the correct screen. Not the answer you're looking for? 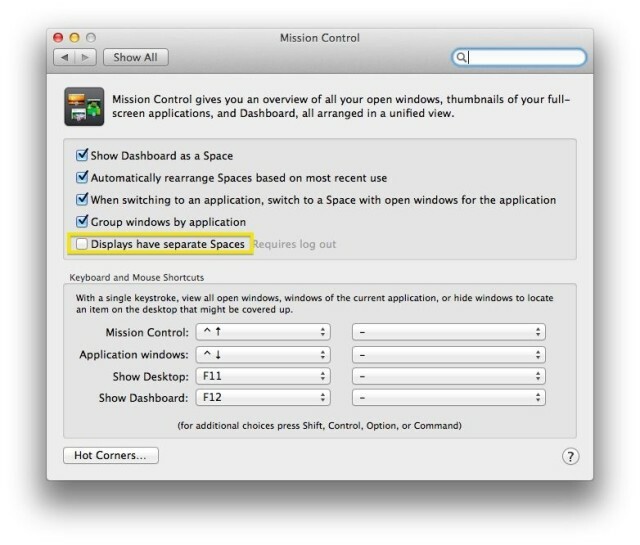 Browse other questions tagged macos mavericks display application-switcher . How can I force the application switcher to stop following the dock and instead show on my main display in Mavericks (OS X 10.9)? 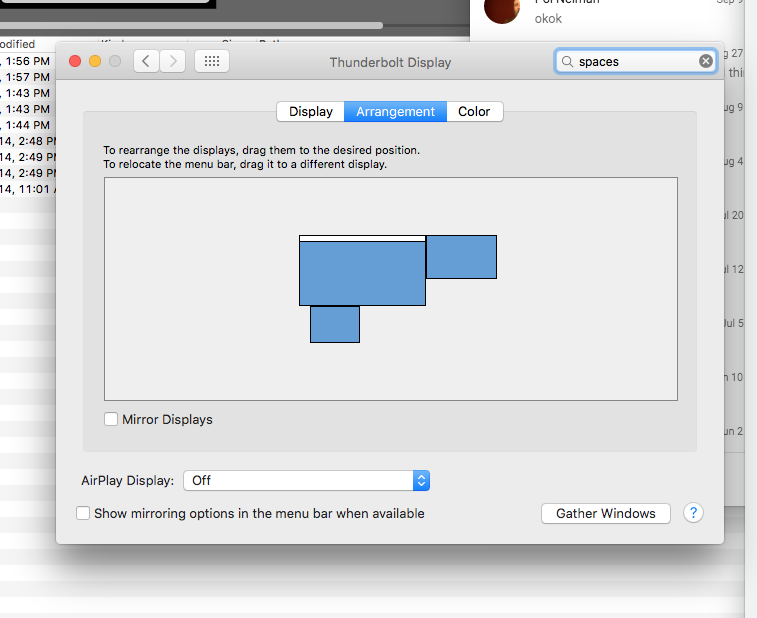 Configure Mavericks Task Switcher to Display on All Monitors? How do I make applications open on the primary display and not the active display? How to disable the dock on a specific display in Mavericks? 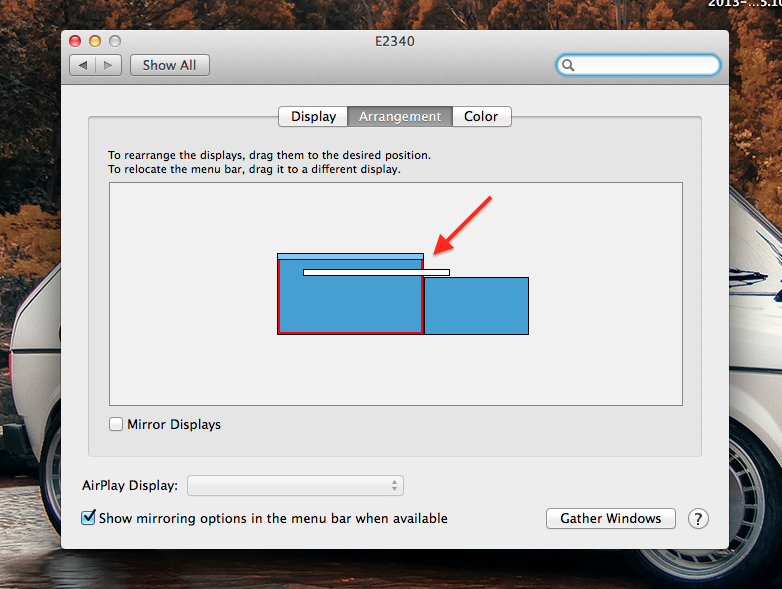 In OS X Yosemite, how to keep the app switcher (or dock) on my main display?